It is never a good time to have a financial emergency. If you are not prepared, it makes it worse. The unexpected can happen at any time to anyone and can stress your wallet as well as your emotional health. It is always wise to be financially prepared, but most people aren’t fully prepared. So, when the unexpected happens, being unprepared can result in financial ruins quickly. If you have experienced an unexpected financial emergency and are having a hard time making ends meet, personal bankruptcy may be an option. Financial emergencies can range from a car repair to a natural disaster and although they can be unexpected, they seem to be inevitable. Here are a few things to think about and plan for when the unexpected happens. Job loss, accidents of any kind, medical problems and natural disasters are the most common reasons for unexpected expenses. It is important to understand how you can take steps to handle them. If you don’t handle them the right way it can become worse. Understanding the situation is crucial to begin handling the emergency. This means you need to take the time and investigate your options. If you don’t take the time to explore your options, you could be making decisions that will have negative effects down the road. There are a lot of helpful resources available such as the State Unemployment Office or US Department of Labor. For medical emergencies there are State Health and Human Services Offices and for accidents you have your Insurance Provider. Once you understand and explore your options, it is wise to develop a plan. Use the tools you have at your disposal and find ways to pay for your expenses. For example, insurance payments and benefits that are available and can be used. 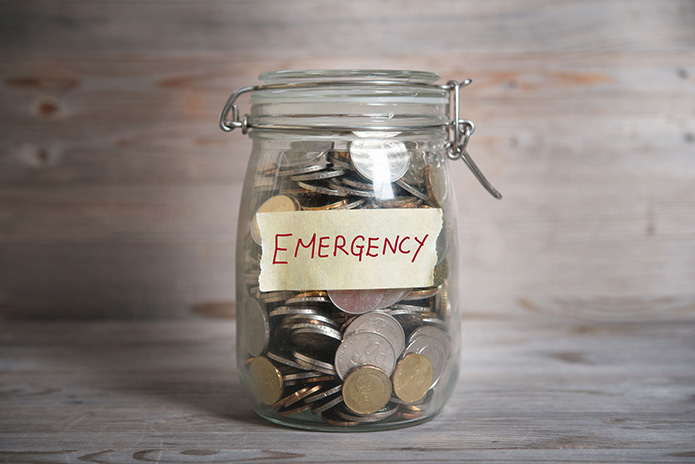 It goes without saying that an emergency fund is always recommended and although most people don’t have an emergency fund, they should think about starting one, no matter how hard it is. You may need to be resourceful and create your own funds fast. This may include selling some of your things or getting a second job until things get better. Do not hesitate to get help. Some people don’t’ ask and try to deal with things on their own. For example, seeking help from a financial planner provides an unbiased advice that is solid and can help you tremendously down the road. Getting multiple quotes on services and claims is also smart so you can compare shop. Part of preparing for the unexpected is having a plan. This includes building a network of people around you that you can trust and are knowledgeable about finances, cars, construction, employment etc… If they know your situation, they can give better advice. Also, making sure you always have necessary paperwork in order will make planning easier. This includes updated estate planning, wills, trusts and powers of attorney. If you have experienced a financial emergency and are having a hard time making ends meet, Hines Law can help. We aid our clients with supportive as well as compassionate advice when it is required most. In addition to our vast experience in bankruptcy legal matters, we have a high degree of success in helping our clients obtain lasting debt relief in a timely and effective manner.